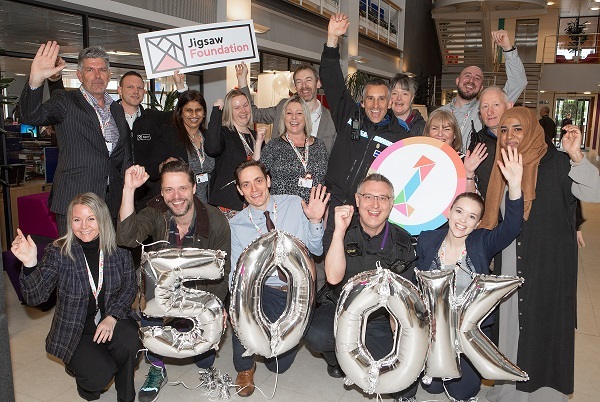 Jigsaw Homes Group marked its first anniversary today (3 April) by opening applications to its new £500,000 community fund and launching new action plans to improve neighbourhoods across the North West and East Midlands. Jigsaw Group, which owns c34,000 homes across Greater Manchester, Lancashire, Cheshire, Merseyside and Nottinghamshire has earmarked half-a-million pounds of investment for local projects in 2019/2020 as part of its new Jigsaw Foundation. Residents, charities, social enterprises, voluntary groups and local agencies are invited to bid for a share of this money towards projects involving health and well-being, employability, financial inclusion, the environment and encourage enterprise and training. Tenants signed up to Jigsaw Rewards surveys will also be able to vote on where bids of up £25,000 should be spent. Entries in excess of this amount will be decided by Jigsaw’s executive team. New three-year action plans are also now in place across all of Jigsaw’s 61 neighbourhoods with targeted work around health and wellbeing, employability, antisocial behaviour, community desirability and tenancy sustainability. A £50,000 hardship fund has also been set up to pay for essentials like beds and cookers for tenants who cannot provide their own. Referrals will be made by Jigsaw. Jigsaw celebrated its first year in business with partners and tenants at its Tameside and Wigan offices with a separate event held at Chorley Council and another in Nottingham later this month. Hilary Roberts, Chief Executive of Jigsaw Homes Group said: “Since we merged last year, we’ve focused on improving our services to tenants and communities as a new, larger organisation and I’m delighted to celebrate our first year with significant neighbourhood investments and extra support for those most in need. “Our new Jigsaw Foundation builds on the success of former neighbourhood funding programmes and it’s also a chance for tenants to have their say on how money should be spent in their areas. Applications to Jigsaw Foundation will also be assessed alongside Jigsaw’s new neighbourhood plans. Neighbourhood plans can be viewed on the individual landlord websites under the ‘Help & Advice’ section.